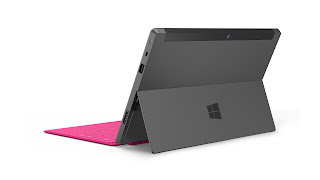 The momentum is great, people are talking about the new Surface device all over the place, Facebook and Twitter are pounding the hashtags and .net devs feel excited and proud and full of really cool promises on the new generation of interactive, interconnected, touch devices ! To add more to it, I have watched the Microsoft's Press Conference Keynote, Engaged reviews, crowd comments and colleagues opinions. The keynote was nice and full of hardware technical stuff. As a developer I appreciate that, but honestly, from a consumer stand point, I would say that Ballmer and Sinofsky are quite lame presenting. Microsoft should invest some money in charismatic presenters. Also, the start button not working in Sinofsky's first part was a big drawback in people's eyes, especially consumers new to the Windows 8 proposal. Runs on an NVIDIA ARM processor, will run the Windows Touch mode only, will come in 34 GB and 64 GB solid state drives configuration. MicroSD port, USB 2.0 port and a nice HDMI output. 9.3 mm thick, around 1.5 pounds. This version should be available at the time when Windows 8 is launched, probably around September this year. The price was not revealed, but Microsoft claims that it will compete with other ARM based tablets already in the market. Maybe around $600. More details here on Engaged. Runs on Intel based Ivy Bridge Core i5 processor, and will run both the Windows 8 touch and desktop modes. It will be available in 64 GB and 128 GB configurations. Full HD display. It comes with HDMI output and USB 3.0 port. It is around 13.5 mm thick and weights less than 2 pounds. Supports Pen interaction (which can be nicely attached to the tablet case) and provides digital inking interactions to annotate digital documents and pen interaction detection that will disable touch input to allow users to comfortably write on documents on display. The venting solution is refreshing and innovative, providing a perimeter venting all around the case, that according to Microsoft, won't be felt when holding it. It is supposed to be released three months after the Windows 8 launch, and Microsoft said the price will compete with market ultra-books, so I'd expect the price to be around $1000. Both versions come with an innovative, robust yet sleek magnesium case using a technology called VaporMG. Both come with second generation Gorilla Glass technology, front and rear cameras (which is clearly a must for any new tablet these days) and a dual array of mic and speakers. Both come with twin 2x2 MIMO antennas for maximizing WiFi connectivity and performance. Although still yet to be confirmed on the final product launch it is said that the viewing angle is really good allowing multiple people to watch at the same time, which will be a great advantage over most tablets currently in the market, including Android and iPad devices. Each tablet has a build-in magnesium stand, which appears to be robust enough and when folded is practically undetectable. Along with the tablets, Microsoft will be releasing a newly invented ultra-thin keyboard covers that attach magnetically to the tablet. There are two versions. One that is super thin touch like cover, and another slightly thicker with physical 3d keyboards that are supposed to be better for touch typing. 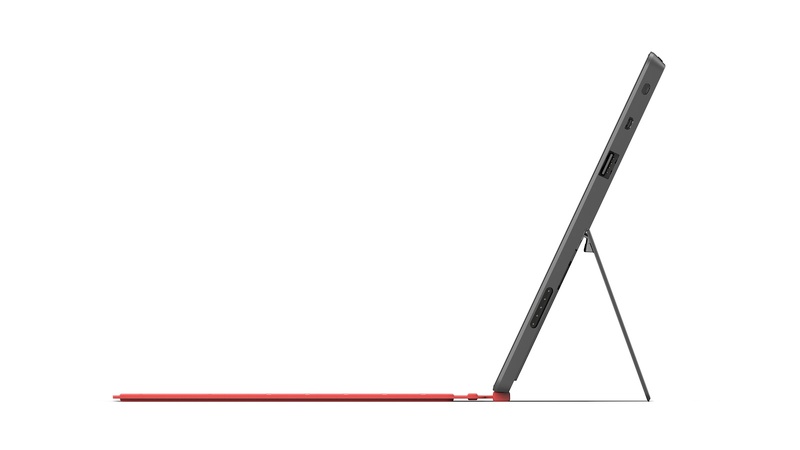 Both attach magnetically to the tablet in the same way, and the touch type one is able to fold back. Microsoft said that the touch types have accelerometers embedded that can detect when the keyboard is fold back so the input is disabled. Let me close with this: "Because of Windows 8, the Surface IS a PC. 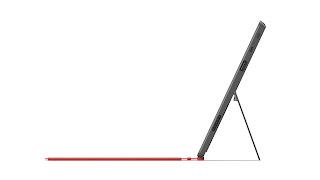 The Surface IS a table"
Enjoy the Windows 8 goodness! Windows 8 is also for Web Devs!